Browse: Home / CS465BufferOverflow is a Buffer Overflow Attack script. 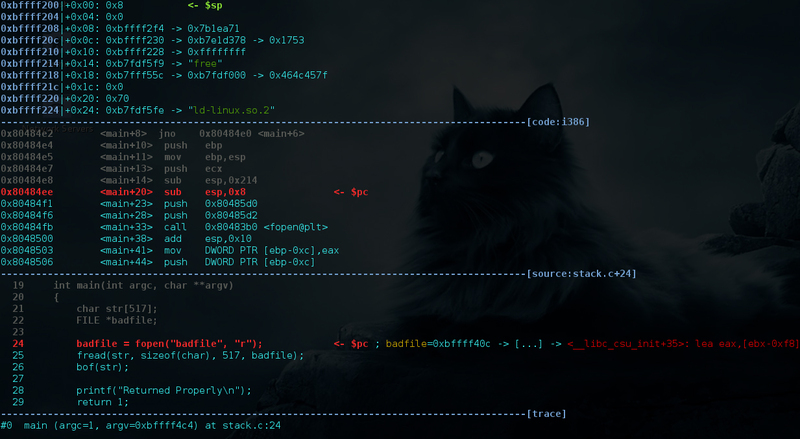 – call_shellcode.c : A program that creates a file containing code for launching shell. 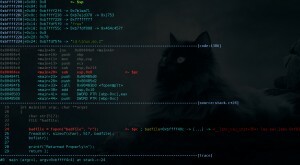 – exploit.c : A program that creates a file containing code for launching shell. – stack_new.c : This program has a buffer overflow vulnerability. – run.sh : For Compiling All C Extension. 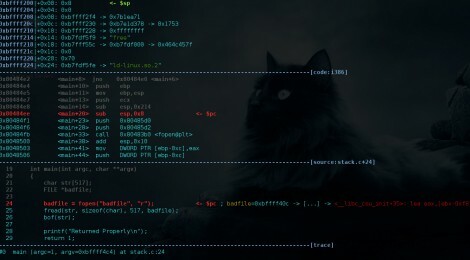 – Binary : call_shellcode, exploit, stack_new. Example Object Dumping for reading Proccess and DisAssembly. ← NotSoSerial is a Java Agent designed as a mitigation effort against deserialization attacks.